If you think web design is strictly about the aesthetics of a website, you are mistaken. Web design goes beyond making your blog look pretty with matching colour schemes and cute typography. In the right hands, it becomes a useful tool for achieving set business objectives. You don’t want the design of your website to get pointers for looking good alone, you want it to drive conversion rates higher and facilitate user engagement with your content. How exactly does web design connect with conversion rate? While a well designed website must be easy to use and navigate, navigation and usability features are not a one-size fits-all affair. The usability of your website is decided by how easy it is for a user to find the information they seek or complete a desired action. You’ll need a solution that works for you, depending on the nature of your business. For instance, an eCommerce website would need drop down menus whereas a landing page may not. 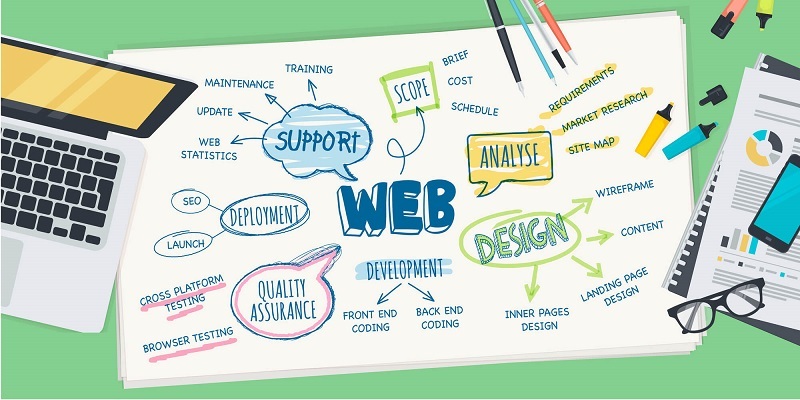 Your website should be designed with different categories of visitors in mind. While you’ll want first-time visitors to find informational resources on what your business is about, you’ll want users that know a bit about your brand to become your customers. Finally, for users who have decided to buy, you’ll want to make it easy for them to gain access to consultations or quotes, or if you’re an ecommerce site, where to make a purchase. While you may design your website yourself, this aspect of web design is better left to the professionals. You can find a dependable web design company in Ottawa to help you get higher conversion rates using navigation and usability features that suit your site. With less than a second to impress a visitor, your website has to be visually arresting to make a great first impression. Using aesthetics properly will make your site look inviting, causing visitors to stick around longer. Colours, typography, lines, buttons, rich media, and white space, when used ingeniously to create a beautiful, functional layout, will divert the user’s attention to the call to action. The aesthetic of your website conveys a deep message about who you are to your visitors, and it’s up to you to shape your identity. The various aspects of web design, when cleverly put together, will help create conversion paths that are sure to yield results. A conversion path is the journey a user takes that eventually results in a conversion. Understanding the different categories of users expected to visit your site will help you successfully guide them from the point they enter the site to your desired end result.